Like any other games, you need to start with the correct game knowledge: understand how the game is played; scoring system and do and don’t on the golf course. You need to learn how to play correctly on the golf course abiding to the rules and etiquettes of golf. You will be taught the pre-shot routine and why is it important? Experience the thrill and feel of your golf swing and shot performances on the course. An essential part of the golf course playing training is to learn how to assess your performance of your game outcomes; your strength and weakness of your golf short and long game performances. At Asian Golf Centre, we will teach, assist and prepare you with the necessary aspects you need know before you start your first swing on the golf course. We will empathize on all your good and undesired shot performances, and highlight on the recreation intensity of a golf game. You will be given the patience and passion not only to enjoy swinging and hitting the balls on the course, but to emerge into a golfer. 1. You will learn how to play the game of golf in real situation on the golf course. 3. 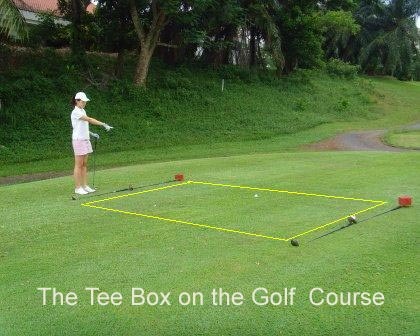 You will learn how to playing from the teeing ground and finish the golf ball in the hole. 4. You will learn what is goal setting for your golf shot performance. 6. You will understand game's score system. What is stroke and match play? 7. You will play by the Rules and Etiquette of Golf to show the sportsmanship for the game. 9. The values of a golf game. This lesson is design for golfer who possess all the golf swing proficiency and want to learn 'the all-important you need to know' to participate and enjoy playing the game on the golf course. Our requirement is that you come for lessons with the full enthusiasm of wanting to immerse into a greenery atmosphere on the golf course to experiencing the fun and adversity of the game recreationally. 1. You learn the what is 'Tee-off time' and the important of punctuality for a golf game. 2. 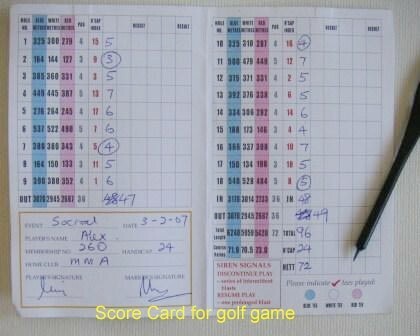 You learn the important contents on the 'Score Card' for game of golf. 3. You learn and understand the scoring system. What is the 'Stroke' and 'Match' game play? 4. You learn the importance of 'Marking' your ball for identification. 5. You learn and understand how the game is played from the 'Teeing ground' to the 'Green'. 6. You learn which player has the 'Honor' to start the game. 7. You learn the importance of 'Safety' on the golf course. 8. You learn when you 'MUST' stopped playing on the on the golf course. 1. 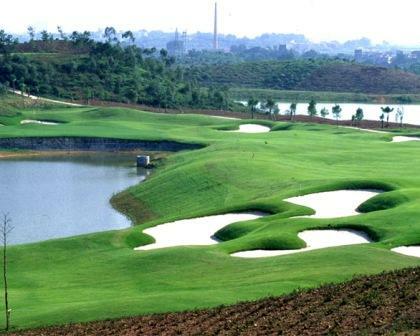 You learn and understanding the design of an 18 holes golf course. 2. You learn what are Par-3, Par-4 and Par-5 of a hole? 3. You learn a hole’s layout and design. 4. You learn what is the 'Index' of a hole? 5. You learn how the distance of a hole is measured. 6. You learn what is 'Call-on' hole? 7. You learn what are Fairways, Out-of bound, sandbunkers and water hazards of a hole. 8. You learn what are the white, yellow, red and orange stakes indications on the golf course? 1. You learn the need for proper warm-up exercises to prevent any muscles injuries during the golf game. 2. You learn how to get the physical and mentally ready for the first golf shot of the game. 3. You learn the rules on how to tee-up the golf ball on the teeing ground. 4. You learn the etiquettes on the teeing ground. 5. You learn the importance of 'Pre-shot routine'..
6. You learn to apply the 'Visualization' in golf psychology for the golf tee-shot performance. 7. 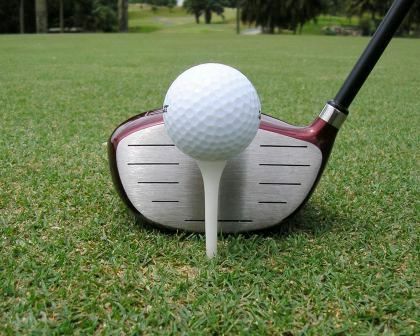 You learn what is 'Broad-external and Narrow-external Concentration' in golf psychology for the golf tee-shot performance? 8. You learn to apply 'External Dynamic Kinesthetic Imagery' in golf psychology the optimum golf tee-shot performance. 1. You learn how to estimate the correct distance from the golf ball position to the hole. 2. You learn how to visualize the correct golf ball flight trajectory to the hole. 3. You learn how to use the distance target to align the body set-up for accurate golf shot performance. 4. You learn how to use the 'Immediate target' to align the body set-up for accurate golf shot performance. 5. You learn how to use the 'Eyes and shoulders' to facilitate your body alignment. 7. You learn what is 'Attentional Control' for your golfswing technique performance. 8. You learn to apply 'External Dynamic Kinesthetic Imagery' in golf psychology the best golf shot performance. 1. You learn to apply 'Visualization' in golf psychology for the golf chipping and pitching shot performance. 2. You learn and understand the correct dynamic golf ball flight of 'Carry and Roll distances' for the golf shot performance. 3. You learn the importance of how to spot an area on the putting green for the golf ball to land, and then roll towards the hole. 4. You learn how to select the correct short iron club for the optimum golf chipping and pitching shots performance. 5. You learn what and how to perform your chipping and pitching 'Pre-shot routine'? Why is it important to know? 7. You learn to apply 'External Dynamic Kinesthetic Imagery' in golf psychology the best golf shot performance. 1. You learn to apply 'Visualization' in golf psychology for the optimum golf putting shot performance. 2. You learn how to estimate the distance of the golf ball to the hole. 3. You learn what is 'Attentional'and 'Emotional Control' for your golf putting swing technique performance. 4. You learn how to visualize the golf ball rolling action to the hole when the putting green surface has a slope. 5. You learn the importance of 'Ball alignment' for the precision golf putting shot performance. 6. You learn the importance of performing your putting swing 'Pre-shot routine'? Why is it important to know? 7. You learn to apply NLP™ 'Sub-modalities' for the golf short and long putts performance. 8. You will gain experience from your putting swing technique performance during the game. 1. You learn how to setup the posture on hill-side slopes for your optimum golf shot performance. 2. You learn the importance of 'Dynamic Postural Stability' in Bio-mechanics when playing the golf ball on hill-side slopes. 3. You learn the importance of the golf ball position at 'Address Position' when play the golf ball on uneven ground condition. 4. You learn how to execute a golf low trajectory shot performance when playing the golf ball is under the tree. 5. You learn how to hold golf club differently for the golf shot performance when the swing path is obstructed. 6. You learn the importance to apply 'External Dynamic Kinesthetic Imagery' in golf psychology the golf shot performance. 7. You learn to apply 'NLP™ Anchoring' to enhance your optimum golf shot performance. 1. You learn the importance of playing by the 'Rules and Etiquettes of Golf' to exhibit your sportsmanship for the golf game. 2. You learn what is 'The Spirit of the Golf Game'?. 3. You learn the importance of showing 'Consideration for Other Players'. 4. You learn what you 'MUST' do when your golf ball is flying to the direction that may reach other golfers on the golf course. 5. You learn what is the 'Pace of play' and the time requires to play a hole on the golf course. 6. You learn how to play by the rules when the golf ball is 'Plugged' into the soft ground. 7. You learn how to take a free lift without penalty when the golf ball come to rest on an 'Immoveable object' on the golf course. 8. You learn how to play by the rules when the ball come to rest next to a sandbunker rake. 9. You learn what is 'Care of the Golf Course'? 10. 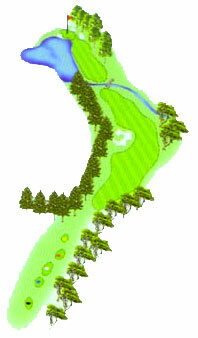 During the golf course playing lessons the coach will assist you on the Rules and Etiquettes of Golf application. 1. Conduct a self-assessment of the game performance and experience. 2. Know what was done well on the golf course; on your golf swing technique performances. 3. Know how could you have played the game better? 4. Identify what are the areas needed for improvement? 5. Take note for the things to do during your next golf practice session. 6. Plan for more golf games to acquire your game competency. A 2 hours golf game learning and playing lesson. Participant will play under our Teaching Professional guidance, supervision, motivation and feedback. management and demonstrating of some specialty golf shots performance. 2 hours at Executive Golf Course 9 holes (Par-29) on weekdays only. Participant is required to use their own golf equipment. Participant is required to arrive 30 minutes earlier to warm-up for game lesson. Participant is required come in golf attire. Golf shoe, collar T-shirt and proper short or pant. $80.00 per participant for group coaching of 4 participants together. $90.00 per participant for group coaching of 3 participants together. $120.00 per participant for group coaching of 2 participants together. Programme fee is non-refundable and non-transferable in any event that the participant could not turn up or unable complete the lessons on the golf course. Let us make your first experience on the golf course the best experience.